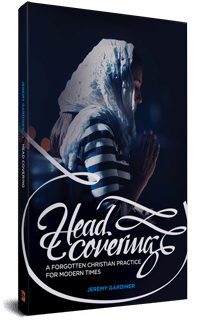 What Did Linus & the Apostle Peter Believe About Head Covering? 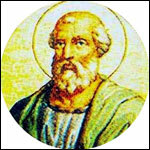 Linus (died approx 76-79 A.D.) was the successor to the Apostle Peter as bishop of Rome. 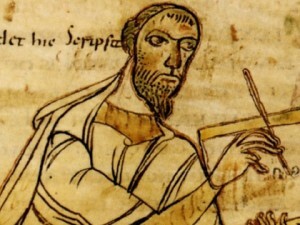 Eusebius and Irenaeus both identify the Linus mentioned here in Scripture as the same one who became bishop. The International Standard Bible Encyclopedia likewise argues that “considering the great rarity of this Greek mythological name as a proper name for persons, we can hardly doubt that here…[in Paul’s letter is] the first bishop of Rome.” 1) Rutherfurd, J. (1915). Linus. In J. Orr, J. L. Nuelsen, E. Y. Mullins, & M. O. Evans (Eds. ), The International Standard Bible Encyclopedia (Vol. 1–5, p. 1895). Chicago: The Howard-Severance Company. Now even though we have no surviving writings of Linus2) This is not uncommon. For example, we don’t possess the original writings of Papias, but we do learn what he believed and said from the writings of Eusebius. While we’d always prefer to have the originals, learning second hand from people who had access to their writings or documentation on them should not lead to excessive doubt about its authenticity. , it’s clear that the early church had access to works that we no longer possess. There are very specific details given about his life such as the date and place of his burial, the name of his father, and the exact number of months and days he held the office of bishop. That’s not information you make up. That’s preserved documentation. 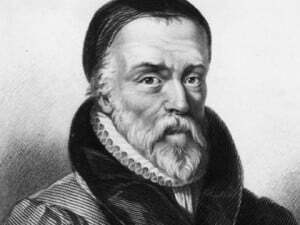 So while we don’t possess the originals, we do have facts about his life and theology as preserved by the early church. “He, by direction of the blessed Peter, decreed that a woman must veil her head to come into the church.” 3) Loomis, L. (1916). The book of the popes (Liber pontificalis) I-. New York: Columbia University Press. Here Linus is described as getting specific direction from the Apostle Peter on head covering. 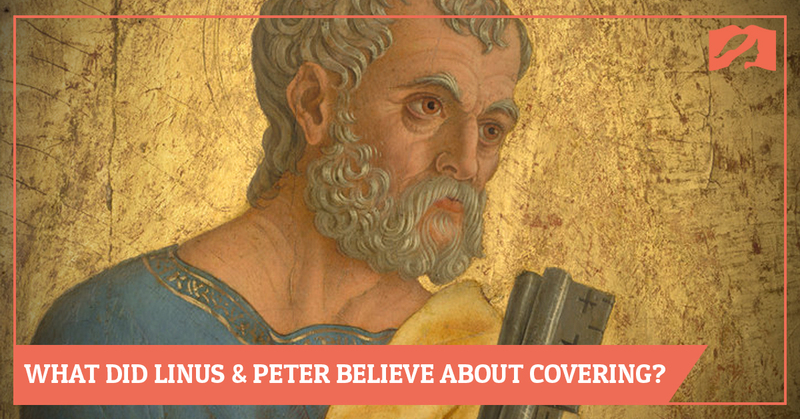 While only Paul writes about this matter in Scripture, Linus was a disciple of Peter, one of only three men who was specifically ordained as bishop by the Apostle. So he had the benefit of learning theology directly from him. So here we learn not only about Linus’ belief and practice but that it was the apostle Peter’s too. This poses a problem for those that want to view Paul’s instructions in 1 Corinthians 11 as being only for that one specific church. If that’s so, why did the Apostle Peter instruct the bishops he trained and ordained to enforce head covering too? From this brief statement, we learn a few other things regarding this practice. We see that head covering was not a suggestion, but a command. Linus is said to decree that a woman “must” veil. “Must” is the language of obligation. Second, we see that this is primarily a church issue. Linus’ decree was not concerning what a woman does at home, or in public, but how she comes “into the church.” This corresponds to Paul’s instruction that head covering is for when one is “praying and prophesying” (1 Cor 11:4-5) which shows that this symbol is specifically for how we are to worship. 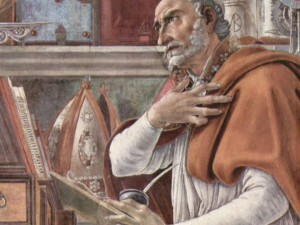 So within the pages of a book that chronicles the history of Roman bishops, we learn about the earliest reference to head covering outside of Scripture. This is in line with what we already know about early church history, that there was no dissension on this topic. 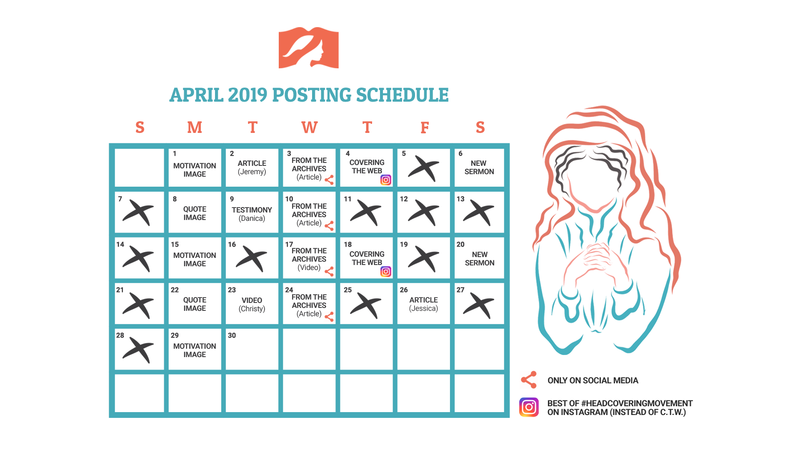 After all, it was the Apostle Paul who said that there was no church anywhere that had the practice of women praying uncovered (1 Cor 11:16), and we now know this also included the church of Rome under Peter and Linus’ administration. ↑ Rutherfurd, J. (1915). Linus. In J. Orr, J. L. Nuelsen, E. Y. Mullins, & M. O. Evans (Eds. ), The International Standard Bible Encyclopedia (Vol. 1–5, p. 1895). Chicago: The Howard-Severance Company. ↑ This is not uncommon. For example, we don’t possess the original writings of Papias, but we do learn what he believed and said from the writings of Eusebius. While we’d always prefer to have the originals, learning second hand from people who had access to their writings or documentation on them should not lead to excessive doubt about its authenticity. ↑ Loomis, L. (1916). The book of the popes (Liber pontificalis) I-. New York: Columbia University Press. Wow. That’s fascinating. Thanks Jeremy. It is indeed an excellent post, well-researched and crystal clear! Thank you so much for your effort. I really enjoyed reading this article. Thank you for posting it! All roads lead to Rome, eh Jeremy?? At this point in church history there was no distinction between Eastern Orthodox, Roman Catholic, and Protestant. All true and false believers were part of the same church. The first major distinction didn’t come until 1054 A.D. So this is not Catholic history, or Orthodox history, or Protestant history—this is Christian history. I will say this and then say no more. If you are a born again blood bought christian and you see the scriptural mandate for the headcovering, then why in the world do you need the witness of Roman catholicism/ or Muslim to prove out your point. Catholicism is pagan to the core as is the Muslim religion. You have the Bible, what more do you need , Jeremy? As you may or may not not know, the religions of the world are coming together with men like Rick Warren, Osteen, Hillsong, and of course Pope Francis, the main kingpin. Have you heard of “Together2016”, (google it). So, regardless of what you call no distinction in church history, you are giving assent to catholicism just by having their videos on your site. 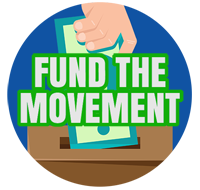 Any unlearned who view your page, will think that you are giving a heads up regarding Rome and now is the time when the Lords return is imminent and you need to back away from the RC harlotry at all costs. I was thrilled when I first saw your web page uplifting the headcovering, now I am more or less disgusted, as is several others who have seen this new twist of trying to prove your point. Isnt the Bible enough for you, Jeremy?